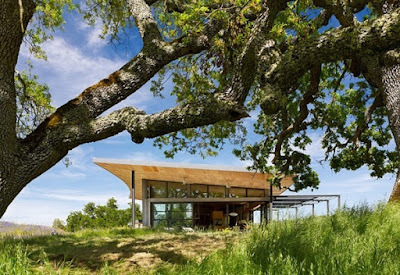 Located in the Santa Lucia Preserve and designed by Feldman Architects, this house is a masterpiece. 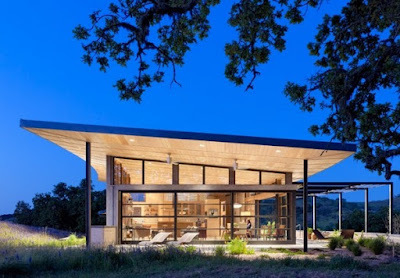 It gives a wonderful contemporary twist to the Ranch Home and has a great sustainable design story to it. 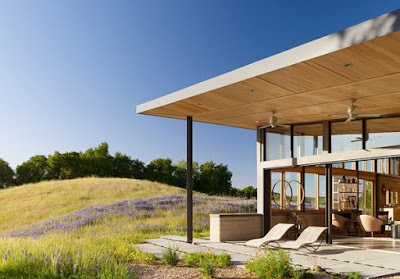 Of course the best feature is the connection to the indoor-outdoor space, a trademark of the California Ranch. 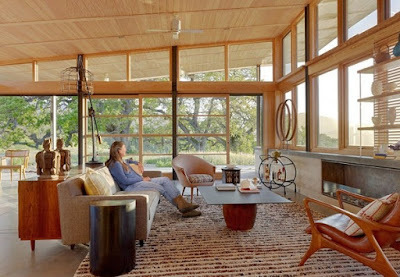 The home also features rammed earth walls, which means the site was excavated and the re-purposed soil was used to build the walls. Can you see the rich color and the sediment layers in the walls? 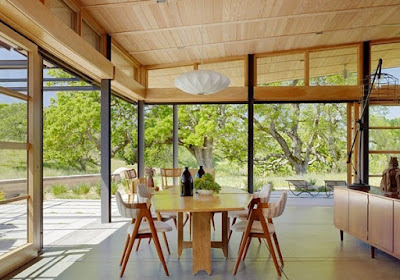 Large, South-facing walls frame in the main living areas and open up to several covered patios, that feature roll down shades for use during the hottest part of the day. Oh wow, great lines, so clean! Lovely blog! Louis Lam recommended your site. 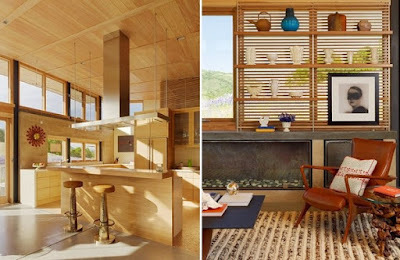 I also love this house. Its gorgeous! 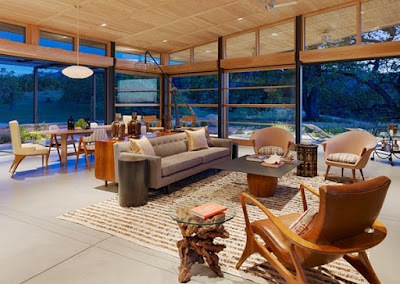 I'd probably have a big modern cream sectional for lounging, but the home is amazing! you're sure to get a much quicker response if you have a question. Working with De Mattei Construction and a document from the Secretary of Interior Architectural Standards, I was part of the design team that rescued and refurbished the historic Whitney Wright Mansion, built in 1920 and located in the Rosegarden neighborhood of San Jose, this home is now for sale. My photos show the dramatic transformation of an old estate crumbling and overgrown with ivy. Our work brought it back to its original splendor. You can also see a write up about the mansion if you click here.